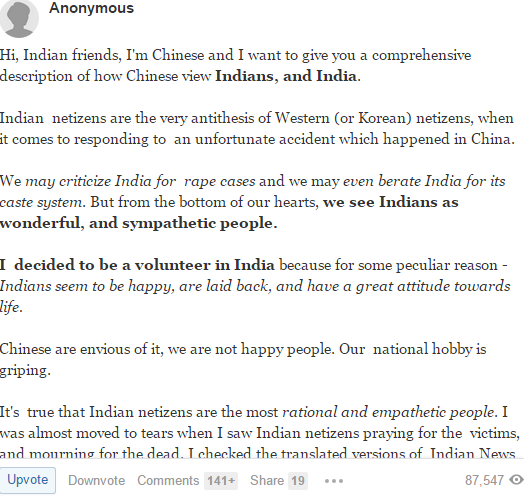 Just read the logical question today on best question-answer community quora, one Chinise man Asked "Why we dislike India and Indians". 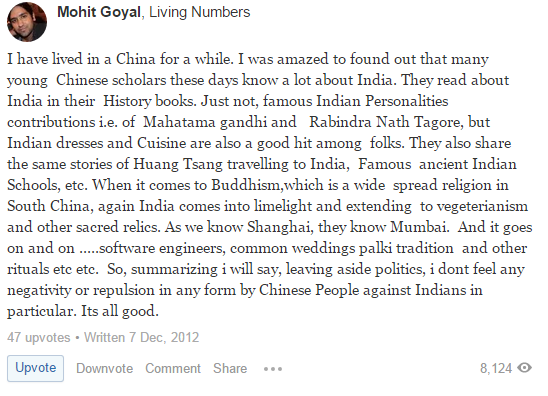 He got tremendous replies from 60 Indians in just 2 days. 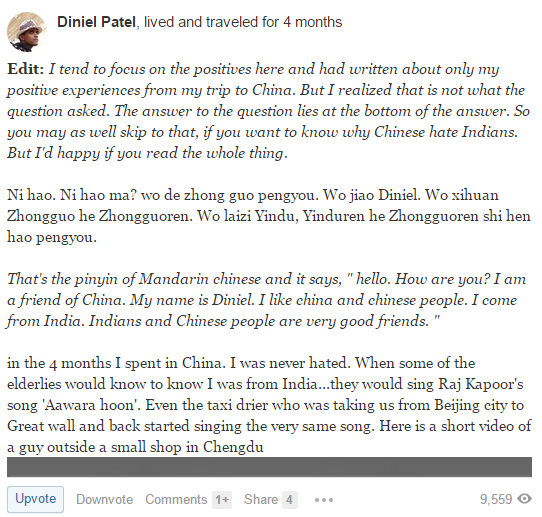 Diniel Patel who lives in China got the exact answered along with some news paper cutting which showing Indo-China relation ship.